"Robotics and Automation in Shipbuilding Industry"
"Computational Intelligent Brain Computer Interaction and Its Applications on Driving Cognition"
"Design and Evolution of Autonomous Molecular Systems in DNA Nanoengineering and Synthetic Biology"
"Toward the redefinition of the SI base units"
The first parts of the steelworks, that is marking, cutting, conditioning and assembling the steel plates and profiles into 2D blocks, are done with relatively small man-hours. On the contrary, the problems in welding of 3D block assemblies are quite extensive because the structures are complicated, and the repeatability of the structures is very low. The same holds true for pre-erection and erection phases. The degree of automation of the other processes than the steelworks is from non-existent to very limited. The main reason for which the largest part of shipbuilding processes are not yet automated lies in the very nature of the shipbuilding operations coupled with the fact that the robotic market has been almost entirely dominated and tailored to the large volume automotive and commodities industry. This talk reviews current status of shipbuilding production technology, focusing on robotics and automation technology. Some robots and systems recently developed and installed inactual shipyards are presented in video form. Jae-Hoon Kim received the B.S. degree in mechanical engineering from Seoul National University, Korea in 1980, his M.S. degree in systems engineering from Wright State University, Dayton, Ohio in 1985 and his Ph.D. degree in aerospace engineering from Purdue University, West Lafayette, Indiana in 1991. From 1979 to 1987 he was a researcher with Agency for Defence Development, Korea, where he worked in the area of structural dynamics. From 1984 to 1985 he was an exchange engineer with USAF Flight Dynamics Laboratory at Wright Patterson Air Force Base, Dayton, Ohio, where he concentrated upon sub-structure analysis techniques for large structures. Since 1992 he has been with Samsung Heavy Industries, Co. Ltd., where he is currently the head of Institute of Industrial Technology. In 2008, he became a Samsung Fellow for shipbuilding production technology. His research interests include structure/control interation, sensor/actuator selection, autonomous mobile robots, specialized industrial robots for shipbuilding, for which he owns more than 20 patents and has published about 30 papers. Human cognitive functions such as perception, attention, memory and decision making are omnipresent in our daily life activities. For instance, driving is one of the most common attention-demanding tasks in our daily routine. Driver’s fatigue, drowsiness, distraction or motion sickness is reported as the some of major causal factors in many traffic accidents. When drivers lost their attention, they had appreciably reduced (or diminished) the perception, recognition and vehicle control abilities. Based on these causalities, how to effectively prevent and enhance the human cognitive functions has become a very important issue. Recently, many investigators had developed novel algorithms based on computational intelligence (CI) technologies such as Fuzzy Logic and Fuzzy Neural Systems to monitor, maintain, or track the human operating performance. In this lecture, we briefly introduce the fundamental physiological changes of the human cognitive functions in driving first and then explain how to utilize these main findings to develop the monitoring and feedback systems based on Fuzzy logic and Fuzzy Neural technologies in the following two topics: (1) EEG-based cognitive state monitoring and prediction by using the self-constructing fuzzy neural systems; and (2) Spatial and temporal physiological changes and estimation of motion sickness. These research advancements can provide us new insights into the understanding of complex cognitive functions and lead to novel application enhancing our productivity and performance in face of real-world complications. The achievements are a natural follow up to the special issue on Brain-Computer Interactions, recently published in the November 2009 issue of IEEE Computational Intelligence Magazine. Dr. Chin-Teng Lin received the B.S. degree from National Chiao-Tung University (NCTU), Taiwan in 1986, and the Master and Ph.D. degree in electrical engineering from Purdue University, USA in 1989 and 1992, respectively. He is currently the Provost, Chair Professor of Electrical and Computer Engineering, and Director of Brain Research Center, National Chiao Tung University. Dr. Lin was elevated to be an IEEE Fellow for his contributions to biologically inspired information systems in 2005. He served on the Board of Governors at IEEE Circuits and Systems (CAS) Society in 2005-2008, IEEE Systems, Man, Cybernetics (SMC) Society in 2003-2005, IEEE Computational Intelligence Society in 2008-2010, and Chair of IEEE Taipei Section in 2009-2010. Dr. Lin was the Distinguished Lecturer of IEEE CAS Society from 2003 to 2005. 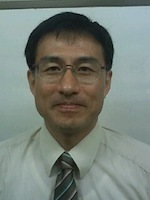 He served as the Deputy Editor-in-Chief of IEEE Transactions on Circuits and Systems-II in 2006-2008. Dr. Lin was the Program Chair of IEEE International Conference on Systems, Man, and Cybernetics in 2005. Dr. Lin is the coauthor of Neural Fuzzy Systems (Prentice-Hall), and the author of Neural Fuzzy Control Systems with Structure and Parameter Learning (World Scientific). He has published more than 120 journal papers in the areas of neural networks, fuzzy systems, multimedia hardware/software, and cognitive neuro-engineering, including approximately 74 IEEE journal papers. Dr. Lin is a member of Tau Beta Pi, Eta Kappa Nu, and Phi Kappa Phi honorary societies. He has been the member of Board of Government (BoG) of Asia Pacific Neural Network Assembly (APNNA) since 2000; and the Council member of International Fuzzy System Association (IFSA) since 2000. 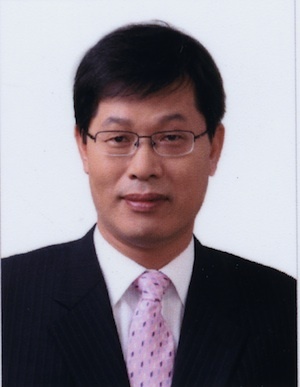 Dr. Lin was the President of APNNA for 2004-2005. He has won the Outstanding Research Award granted by National Science Council (NSC), Taiwan, since 1997 to present, the Outstanding Electrical Engineering Professor Award granted by the Chinese Institute of Electrical Engineering (CIEE) in 1997, the Outstanding Engineering Professor Award granted by the Chinese Institute of Engineering (CIE) in 2000, and the 2002 Taiwan Outstanding Information-Technology Expert Award. Dr. Lin was also elected to be one of the 38th Ten Outstanding Rising Stars in Taiwan (2000). The main axis in Dr. Lin’s research career is to pursue for the biological-inspired intelligent systems, including algorithm development and system design. The research interests cover the basic circuitry level, to signal and information level, and to the system level, either from the biological or engineering point of views. The short-term target system is brain machine interfaceand the long-term goal is on brain-like intelligent system. DNA molecules are versatile in that they can be used as sensors or actuators while they can store and process information. They can also be used as blocks for building nanoscale structures. One of the ultimate goals of DNA nanoengineering is to construct autonomous molecular systems made of DNA, consisting of sensors, computers and actuators. Synthetic biology is an emerging field that aims at engineering living cells, such as those of E. coli, as artificial systems. Needless to say, living cells are typical examples of autonomous molecular systems. It is obvious that in order to construct complex molecular systems, effective methods for modeling and controlling molecular reactions are indispensable. In addition, designing such complex systems requires optimization in a huge design space and is impossible without advanced methods such as evolutionary computation. In this talk, I will survey the fields of DNA nanoengineering and synthetic biology while referring to some work done by Japanese research groups including mine. Masami Hagiya is a professor at Department of Computer Science, University of Tokyo. After receiving M.Sc. from University of Tokyo, he worked for Research Institute for Mathematical Sciences, Kyoto University, and received Dr.Sc. He has been working on modeling, formalization, simulation, verification, and automatic synthesis of computer systems, mainly using deductive approaches. He is not only dealing with systems composed of electronic computers, but also with biological and molecular systems, and has been working on DNA and molecular computing. Finally, he is also interested in how those systems are evolved, either by human intelligence or by artificial intelligence. In the present International System of Units (SI), the kilogram is the only SI base unit still defined by a material artifact. In order to redefine the unit, a new definition based on fixed values of fundamental physical constants, such as the Avogadro constant and the Planck constant, is being proposed. In 2004, eight national metrology institutes, including the National Metrology Institute of Japan, therefore established the International Avogadro Coordination (IAC) project. The aim of the project is to determine the Avogadro constant with a relative standard uncertainty of 2揃10-8 by measuring the molar mass, lattice constant, and density of an isotopically enriched 28Si crystal. Progress of the on-going project and recent proposals for the simultaneous redefinitions of the kilogram, ampere, kelvin, and mole are briefly presented at the conference. 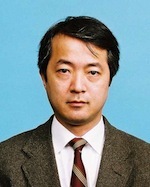 Dr. Kenichi Fujii joined the National Metrology Institute of Japan (NMIJ, formerly the National Research Laboratory of Metrology), Tsukuba, Japan, in 1984. In 1988, he started an absolute measurement of the density of silicon crystals for a determination of the Avogadro constant. In 1994, he joined the National Institute of Standards and Technology (NIST), USA, to engage on the watt balance experiment for a determination of the Planck constant. Presently he serves as a member of the CODATA Task Group on Fundamental Constants and also a member of the Consultative Committee for Units (CCU) of the International Committee on Weights and Measures (CIPM). He also serves as a Coordinator of the International Avogadro Project.